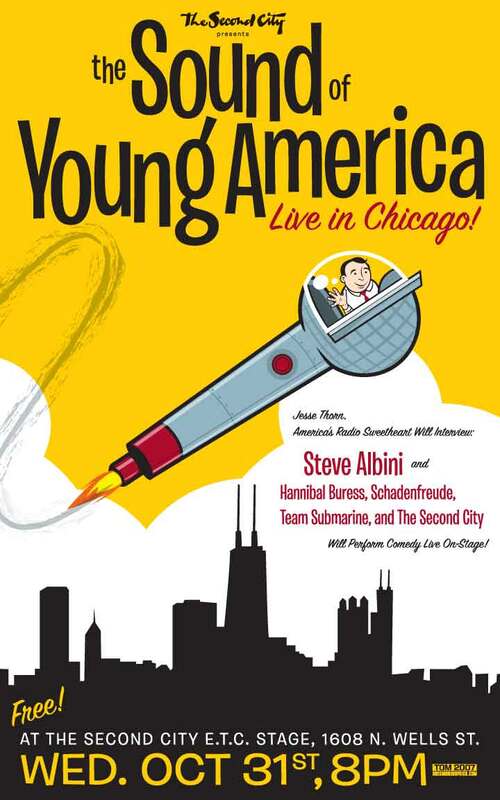 The first of two podcasts covering our live show at The Second City in Chicago. Later this week we'll hear my interview with Steve Albini, but first here's comedy from the show. Schadenfreude open things up with some Chicago jokes (Rick Sutcliffe, anyone? ), then Team Submarine duo their way into your hearts. The Second City Tourco knock one out of the park, then Chicago's Funniest Man Hannibal Burress tears the club down. Here're some wonderful photos of the show online! Photos are by David Facchini. Special thanks to Bossman Graphics for designing our poster, and to The Second City for inviting us!